The club season is upon us; the offseason changes are complete and quest for the title has already begun. While this year is a little different due to the presence of the World Ultimate Club Championships in July, most of the road towards the trophy is well worn. Here’s the big picture view of what you need to know to be a responsible fan this season! If you want to follow along with the top teams, players, and games this season, and support Ultiworld’s club season coverage, visit our subscription page. 1. Despite Revolver’s greatness, there are more legitimate title challengers than there have been in years: Ring, Sockeye, Doublewide, PoNY, GOAT, Dig, and Machine all have great teams (on paper). Can they stop the Bay Area juggernaut? Coming off of another dominant run to a National title, San Francisco Revolver remains the team to beat. But in a WUCC year, facing a double peak that has bit them before, could they be susceptible? Maybe. They only turn over four players (Beau Kittredge, Sam Kanner, Pat Baylis, and Zach Travis) and steal John Stubbs away from Dig, so it’s not like they are any less talented. But Ring of Fire — who has given Revolver the toughest games they’ve played at recent Nationals — is fielding their best roster in years. Doublewide’s young pipeline has developed into a powerful core. Dig, GOAT, and PoNY have all added world-class players to already strong rosters (more on them later), and Machine gets Kurt. These are all very good teams, each of which will be an underdog in a matchup against Revolver. But the path to a Championship looks a lot trickier this year with a higher concentration of upper-tier teams (thanks in part to the departures of Florida United and Ironside, but also to players congregating on winning teams). Again, no team in isolation will be expected to beat Revolver. But the road through Nationals may not offer many cake walk games, and it only takes one team to catch fire to send them packing. 2. The Northeast is extremely strong, with 2017 quarterfinalists Dig and PoNY both getting better and GOAT reuniting with Mark Lloyd and Isaiah Masek-Kelly. How do those three teams finish? For a while now, the Northeast has been the deepest region in the Men’s Division. The absolute top end talent wasn’t always there – only one National title in the last decade – but the Northeast has always been stocked with nationally competitive teams. Ironside, PoNY, and GOAT got the headlines, but teams like Garuda, Phoenix, Big Wrench, and Dark Or Light boasted enough talent to make Regionals interesting. This year, however, the depth of the region is really consolidating at the top, and the Northeast has three credible National semifinals contenders heading into the season. 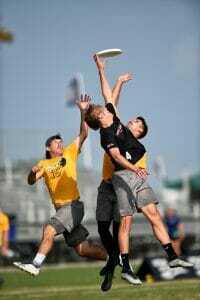 Boston Dig was a quarters team last season even before they absorbed a big chunk of Ironside, including battle hardened winners like Josh Markette, Jack Hatchett, and Jay Clark. PoNY was also a quarterfinalist, and then went ahead and made the splashiest pickup of the offseason by bringing Jimmy Mickle to the east coast. GOAT gets back Mark Lloyd and Isaiah Masek-Kelly (Lloyd-lite?) after a year away. Who among these three will shine the brightest? Due to the nature of bracket play, it’s hard for any region, no matter how talented, to send three teams to semis without cannibalizing each other beforehand, but you can see the potential in all three to make it there. We’ve got GOAT ever-so-slightly at the head of the pack. A down year in 2017 gave guys like Andrew Carroll and Ben Burelle a chance to step into bigger roles and take lots of touches. With Lloyd and Masek-Kelly coming back to play with this core, the pieces start to make a lot of sense. Don’t sleep on the importance of cohesion here. While PoNY and DiG are making big name pickups this year, virtually all of GOAT has come up together playing in the same system. Mickle won’t be with PoNY until after Worlds, and who knows how long it will take for Dig to figure out the best way to integrate their Ironside additions. 3. Which player switching teams will make the biggest difference on the season? Of these, the one the will make the biggest difference is probably Freystaetter’s trip up I-95 to Raleigh. If we want to consider “biggest difference” to mean the move that stands to have the biggest impact on which team wins the title, then it has to be Mischa. Ring is basically the only team this season that has a prayer of beating Revolver. Kurt and Mickle are great players and may take their teams another round or two further into the bracket, but it’s unlikely that either Machine or PoNY is keeping Revolver up at night. Of course, if you look at player movement from the departure terminal, then the Mickle move makes more waves. While Gibson and Freystaetter’s previous teams are defunct, Mickle’s absence from Bravo throws the Denver squad into a rebuild mode that could change the complexion of the South Central. Along the same lines, Nicky Spiva’s move from Washington DC Truck Stop to Philadelphia AMP in the Mixed Division is a tectonic shift for DC, and they’ll likely spend a good chunk of the season trying to find the right balance of talent to replace Spiva’s singular abilities. You can’t count Truck out of a semis spot, but they seem like the team least likely to return. When you hear Jay Froude’s name, do you associate him with the likes of Jimmy Mickle? Dylan Freechild? Jon Nethercutt? Maybe not, but it’s time to reset your expectations. Froude has been lethal for a couple of years now, taking down 1st Team All-Club honors in 2017, helping lead Doublewide to an appearance in the National final, and providing both blistering offense and big-play ability in any role he takes on. Now, with Doublewide set to compete at WUCC and looking like a real contender again after a few years out of the spotlight, Froude has become the focal point of the team. He’s been unbelievable for the Dallas Roughnecks in the AUDL this season, leading the team in goals and sitting in second in both blocks and assists. He’s second in the league in plus/minus. His rise has followed his development from an athletic defender into an all-around star, but the development of his offensive skillset hasn’t diminished his explosiveness: he’s one of the game’s springiest players. If Doublewide is going to repeat their success from 2017, Froude will be the guy leading the way. Since his time on the USA U-19 National team in 2010, it was clear Chris Kocher had a bright future. With appearances on the Nexgen Tour, the U-23 National Team, and most recently the World Games team, he is no stranger to playing on the big stage and standing out among superstar teammates. He did so last year as a captain for PoNY, finishing second on the team in goals and assists at Nationals and earning 1st Team All-Club honors. 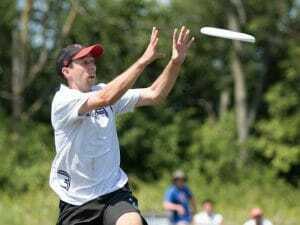 With all of the talent New York is amassing, PoNY should be poised to make a deep run at Nationals, and Kocher will be at the center of it all keeping things running smoothly. Sports are driven by stars, and D.C. might just have one in Rowan McDonnell. After playing a season with Ironside, he moved to D.C. in 2015 and has grown each year as a part of Truck Stop. He exploded onto the national radar in 2017 with a great regular season and a noteworthy Nationals, earning 2nd Team All-Club honors. He finished second on the team in goals and assists in Sarasota last fall. His versatility makes him extremely dangerous downfield. McDonnell has shown the ability to initiate the offense and take the downfield shot, or finish the point in the endzone all season long on the AUDL’s D.C. Breeze. McDonnell enters 2018 as a captain for Truck Stop, and his new challenge is to maintain the success D.C. had a year ago when it made a run to the semis at Nationals. He will have to do it without some of the major pieces Truck has leaned on in recent years, like Alan Kolick and Nicky Spiva. There will be a lot more pressure on McDonnell’s shoulders to drive Truck’s success than there has been in any previous year he has been on the team, but he seems ready for the task at hand. Things seemed a little bleak for Toronto last season when Mark Lloyd announced he would not be playing with GOAT. Enter Andrew Carroll. The former member of Team Canada’s World Games team became the lifeblood of the Toronto offense in Lloyd’s absence, leading the team in goals and finishing second on the team in assists at Nationals. Carroll is consistently one of the top players on the field and never seems to mind shouldering the load for an offense. He has been a star this spring for the Toronto Rush in the AUDL and seems set to shine again, this time alongside Lloyd, at the club level. While GOAT did not have a strong showing at Nationals last year, three of the five games the team lost were by a single point. If Carroll can take the next step in his development and help Toronto fuse the talent it is bringing together, GOAT could be back in the semis for the first time since 2014. Look, when you’re the greatest player of your generation, every move you make is going to have a big impact on the competitive scene. Gibson will seek his fourth championship in seven years — and it’s an even year, so you’ve got to like his chances (he won in ’12 with Doublewide, ’14 with Johnny Bravo, and ’16 with Ironside). Before he joins up with Chicago, he’ll try to help win Doublewide a Club Worlds title. His all-around excellence should mesh well with a group of players that he already knows well — he can slot in wherever they need him. Then he will headline a Chicago Machine roster that’s the weakest that he’s played on in years, but it’s not like he’s LeBron on the Lakers: Machine has a legitimately talented core. He could be the piece they need to really open up an offense that’s struggled in recent years (while their defense has been great). The undisputed heavyweight champion of the world, San Francisco Revolver returns in 2018 with a roster that’s hardly changed — except for the addition of one of the most talented young players in the world in John Stubbs. Sure, they lose Beau Kittredge, but he was already on his way out of the main O-line rotation by last season, and the team hardly lacks for size and deep cutting ability with players like Simon Higgins and Nick Stuart on the roster. There is just world-class playmaking at nearly every position on the roster: Ashlin Joye is the game’s best handler, Grant Lindsley has been lights out for a year and a half, Cassidy Rasmussen continues to play great — the list goes on. They do lose a couple of key defenders — Pat Baylis and Sam Kanner — but they have plenty of guys to step up and fill those roles. Revolver remains the clear favorite to win a World and National Club Championship this season. The best you can say is that the double peak might be too much for them to handle. Maybe. If there is a team that will have a shot at knocking Revolver off their perch this year, it’s Ring. Raleigh adds some depth and a crucial piece in Mischa Freystaetter, who they stole away from Florida the first chance they could get. Some talented UNC guys like Elijah Long, Liam Searles-Bohs, and Jacob Mouw also come on board, but mostly it is the continuity of a team that has nearly gotten the bracket upset over Revolver for a couple years now that stands out as their biggest strength. 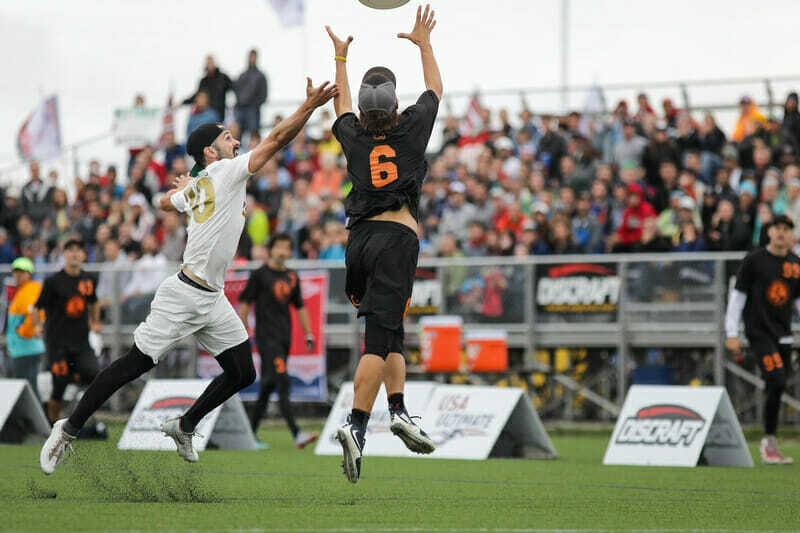 Jon Nethercutt is at the peak of his game, Jack Williams is one of the most dangerous cutters in the sport, and a deep bench of both athletes and skill players will have Raleigh vying for a WUCC title and a National one. Is Mischa enough to turn the tables on Revolver? It’s possible. He will stretch the field in a Kittredge-esque way for Ring, allowing more space for Goose Helton and Williams to work. It’s not like the offense struggled last year, but they didn’t quite have what they needed against San Francisco in semis. They were the #2 team in the country last year. They’re the #2 team again this year. Did they close the gap far enough? We’ll find out. Will some onlookers be surprised to see Doublewide so high in the Power Rankings? They shouldn’t be. The 2017 National finalist has been building back to the elite tier for a few seasons now, and Jay Froude, Dalton Smith, and co. are ready for another run. The team doesn’t lose much and adds the sneaky good Chris LaRocque, who could help them on either O or D. Dealing with the double peak (and playing with Kurt Gibson and then later without him) could be an extra tricky piece of their season, but Texas ultimate is in great shape at the moment with some of the best athletes playing right now. Talk about some continuity. GOAT returns all but three players from last year’s roster and brings back superstars in Mark Lloyd and Isaiah Masek-Kelly after a year away. It also adds Alec Arsenault and Greg Ellis, two of the bright spots on this year’s Ottawa Outlaws team. Andrew Carroll and Ben Burelle stepped up last year for this team and now will get some support. Toronto is still competing in a tough Northeast region and has a loaded schedule. GOAT will be at WUCC later this month before entering the heart of the club season. Additionally, many of the players compete for the Toronto Rush in the AUDL, who seemed poised for a deep run into the playoffs. It could be a long haul for Toronto and a tough task to manage the physical demands that come with playing in three major competitions over the course of the next few months. Regardless of the physical demands, expect GOAT to make some serious noise at Nationals this season. The last time the team’s roster looked this good, they made semis at Nationals and there nearly upset the eventual champion, Denver Johnny Bravo. If you believed the hype, Sockeye wasn’t just a team. It was a brand. A stable cast of characters playing at a trademark frenetic pace, Sockeye put a reliable product out on the field every year even as their rivals morphed around them. But that may be changing. After last season’s unmitigated disaster at Nationals, are we seeing a changing of the guard in Seattle? 2017 saw Sockeye import some high profile rookies to the Emerald City, headlined by Dylan Freechild, Jacob Janin, and Billy Katz. This season’s rookie class goes even younger, drawing in players who are only scratching the surface of their potential. The Rookie and Breakout Player of the Year from the recent college season, respectively, are coming aboard in the form of John Randolph and Derek Mourad. Xander Cuizon-Tice is another college star getting better every year. This infusion of new blood comes at the expense of the old. Seattle mainstays Reid Koss, Donny Clark, and Mario O’Brien are gone. But as odd as it will be to see Sockeye play without Koss and company, what may be even odder will be seeing how the remaining veterans deal with life on the other side of their primes. A few years ago Danny Karlinsky was a reasonably in the conversation as the best O-line handler in the game, but now he may not even be a consistent starter. With the Freechild generation at the peak of their powers, and a new young core biting at their heels, this could be the year that Sockeye begins to truly look, and perhaps play, differently than what we have come to expect for much of the past decade. Dig’s 2017 success earned them top billing in Boston as Ironside sunk in the offseason and Dig picked up some of their crew. While John Stubbs ended up out West, Dig still adds Jack Hatchett, Tannor Johnson, Josh “Cricket” Markette, Jay Clark, and Mac Hecht to an already talented lineup led by Ben Sadok. Is this quite the team that Ironside was in their peak years? Probably not, at least not yet. The team is still very young, but there is tremendous upside. They made quarters last year despite most of the top Boston talent playing for Ironside! It does feel like the team missed out on what could have been a couple crucial additional pickups from Ironside, but this is still a very strong roster with a ton of depth. Will they get back to semis? Will they even win the Northeast region? Lots of questions in a transitional year for Boston. Anyone want to take a guess what the final PoNY roster will look like? We know Chris Kocher is returning after captaining the team last year. Ben Jagt and Harper Garvey will be back for another run. 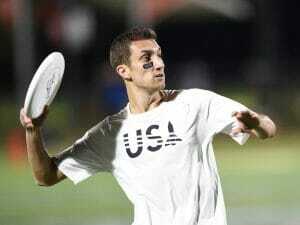 Jimmy Mickle announced he’s coming aboard as well, but not until after WUCC. New York is one of the only Nationals teams yet to release its roster for this season. It gives the impression that PoNY is still trying to attract more talent. Garvey and Jagt have some high-profile teammates on the New York Empire that have not committed to a club team this summer. With all of the talent PoNY has put together, it seems all but certain it will look to build on last year’s run to the quarterfinals. It will have to do so coming from a stacked Northeast region featuring new look Boston DiG and a reloaded Toronto GOAT squad. PoNY is the least known quantity of the trio but also possesses arguably the highest ceiling with the moves it has already made. A new club season and a new Kurt Gibson team: it just feels right, doesn’t it? 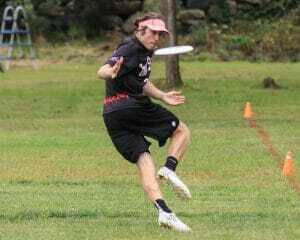 While Gibson won’t be suiting up for Machine until after WUCC, rest assured he will be one of the two most important players on their roster. The other? Pawel Janas, one of last year’s breakout stars and the maestro of Machine’s potent offense. 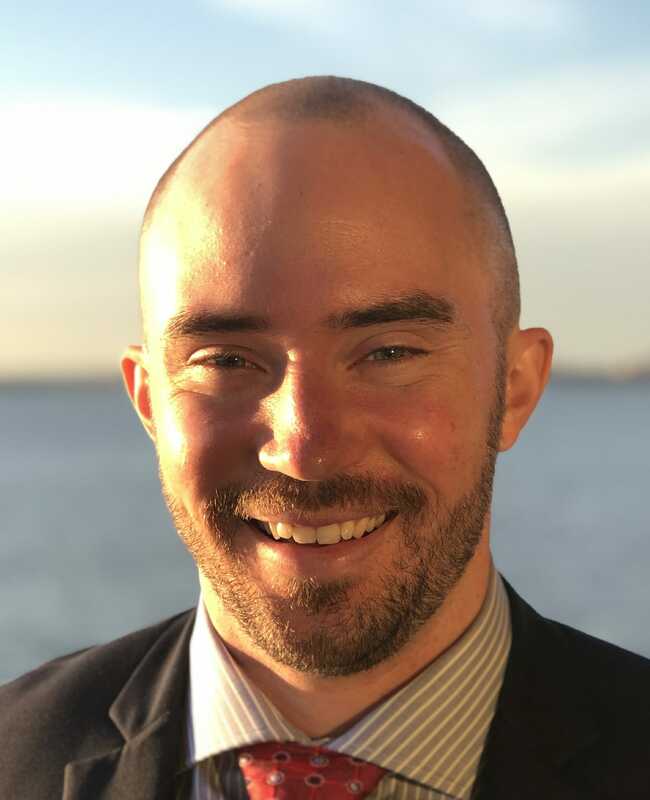 He leads a team that suffered exceptionally little turnover, returning virtually every important piece and adding Gibson, Sam Kanner, Ross Barker, and Nate Goff. While they might not look as impressive on paper, don’t forget that Machine had Sockeye’s number last year, defeating them at both the Pro Championships and Nationals. With Janas and Gibson at the helm (don’t forget, this is an even year! ), Machine seems poised for a superb season. With all the major moves teams made around it, Truck Stop seems like one of the forgotten teams of the offseason. D.C. finished fourth at Nationals last year and yet there is no buzz about the team repeating the feat. Mainstays Nicky Spiva, Alan Kolick, and Joe Freund all departed this year. However, D.C. recruited some interesting playmakers in Christian Boxley, Lloyd Blake, Matt Kerrigan, and Max Cassell. While it is a new group, much of D.C.’s roster has spent the spring playing together in the AUDL. 19 players on Truck Stop’s roster also featuring on the D.C. Breeze playing under the same head coach in Darryl Stanley. Eric Miner, Rowan McDonnell, and Nate Castine are tasked with leading a very different roster, but it seems like the chemistry is already falling into place. With continued development from star cutter Tyler Monroe, this team may be better than many expect, despite the roster turnover. The Condors may have only won a single game at Nationals last year, but it was still the team’s most successful season in years when they qualified for the Championship. The roster this year looks as good as ever, and they add Sean McDougall, who’s had a superlative season in the AUDL with the Los Angeles Aviators and could make real waves in the Club Division. The Condors’ offense was one of the best units we saw last regular season, but they struggled to generate consistent defensive pressure and get breaks. They will have a bit more depth to work with this year and won’t just be content to make it to Nationals. For the past few years, Sub has gotten younger and younger, and 2018 may be their youngest iteration yet. Youth permeates every part of this roster — as does Minnesota Grey Duck. There are 13 current or former members of Grey Duck on the squad, four of which (Cole Wallin, Wysan Duhn, Zach Trosvig, Cole Jurek) will be back for the 2019 college season. Add in Tom Echols (LSU), Trey Taylor (Utah), and Nick Vogt (Wisco), and it’s practically a NexGen team. Perhaps Sub’s most important pickups, however, are two veterans: Alex Simmons, formerly of Ironside, brings tenacious defense and veteran leadership to a team that sorely needs it, and Jay Drescher, scourge of the Mixed Division, who brings his incredibly physical brand of ultimate to the men’s division. Strangely enough, a large part of Sub’s departing class (with the notable exception of Eric Johnson) was just as young as their replacements. This is truly a team defined by their youth, but it’ll be up to veterans Josh Klane, Ryan Osgar, and Nick Simonelli to form them into a competitive Pro Flight squad in 2018. It’s officially rebuilding time in the Mile High City. Mickle, Lance, Westbrook, Will Lohre, Lloyd, Tullett, Roehm — all gone this season. The team adds in some outstanding young talent like Alan Villanueva, Jake Marrapode, and Dylan Salzman, but the team is losing over half of its production. They’ll need to replace 69% of their assists, 52% of their goals, and 46% of their blocks from a season ago. That’s the biggest turnover in the division. Will they be OK? It’s easy to remember back to 2016 when the team was supposedly “rebuilding” but made the semis at Nationals. But this year feels different. It’s finally Temper’s year again, right? This is the most competitive roster Temper’s put out in a long time, and it comes at the same time that Patrol is undergoing massive turnover. The addition of some young Pitt talent in Mike Ing, Dylan Best, and Jonah Wisch to play alongside Tyler DeGirolamo and Max Thorne means that the team’s depth is greatly enhanced. And they’re in what almost feels like a region they could win outright. But! Temper’s been favored to go to Nationals before and missed out at the hands of an unflappable Patrol unit. They’ll need to do more than just try to out-talent them. High Five is the kind of team that you feel has the chance to get a win over any team in the country but also seems to play their worst ultimate when it matters most. There’s plenty of firepower in the Midwest combo team with guys like Paul Arters, Johnny Bansfield, John-Michael Guest, Joe White, and Keegan North on the roster. But the team has openly admitted to struggling with its mentality. There’s a good amount of continuity on the roster this year, so chemistry should be there, but they didn’t really add a lot of game-changing talent, so they’ll have to build from within. The name change alone won’t get Rhino Slam back to Nationals, but this is the most talented roster the team has had in years. Getting 2018 College Player of the Year runner-up Adam Rees, Will Lohre, and Colton Clark from Ego should really help bolster the offense, and Hylke Snieder, who won a ring with Bravo in 2014, is joining the team this season. 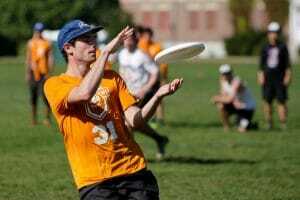 Rhino Slam won Solstice to start the year, and, while their talent does not match the level of Sockeye’s by any means, they look poised to have one of their better seasons in a while. Madison Club woefully underperformed last year, culminating in a single bid North Central, taken by cross state rival Sub Zero. 2018 Club has reloaded while still retaining most of their core. Yes, both Brian Hart and Pat Shriwise are gone, but Colin Camp, Peter Graffy, and Andrew Meshnick return to provide some much-needed stability to a team in flux. Make no mistake: this is still a Nationals-level team, with veteran playmakers on both sides of the disc and oodles of raw athleticism. But 2017 Club proved that you need more than a just talented roster to make Nationals; the latest iteration will need to find what that is if they hope to return. In a year where Pittsburgh Temper revamped its roster, it might be a tough task for Patrol to return to Nationals for a fourth straight year. Chain is very, very young this year and will look to a number of college-aged players to try to get the team back to Nationals. Michael Fairley, Tyler Kunsa, and Sam Batson are all solid pickups. Given the strength of Ring this year, it’s almost a certainty that the region will need two bids for Chain to make it to the Club Championships, and even then, it could be that the team is still a year or two away. Guerrilla was good enough to be at Nationals last year but came up short against an improved Condors team at Regionals. They will be one of the teams to watch on the bid bubble this year. They get some nice pickups in Tim Gilligan and Jackson Stearns, though they do lose Lior Givol to Revolver. There’s plenty of talent here, though, to be very competitive with teams at the back end of Nationals, and it starts this weekend at Pro-Elite Challenge. And so begins year two of starless Prairie Fire. Jay Froude, Matt Jackson, Jesse White, and Abe Coffin aren’t coming back, but experienced veterans remain. Brooks Hidaka, Valley Renshaw, and Christian Simpson have been tearing up the North Central for years now, and will continue to do so in 2018. With Sub’s (relative) inexperience and Mad Club’s roster fluctuations, Prairie Fire’s veterans have to like their chances of returning to the big show, but a North Central region with more than one bid certainly wouldn’t hurt. The outflow of Canadian talent to GOAT and the East Coast has really weakened a once mighty Furious George roster. While we’ve been waiting for a breakout season from the talented young players for years, it hasn’t really materialized, and it once again feels like the team is a step behind Rhino Slam and quite a few steps behind Sockeye. Losing Hugh Knapp doesn’t help. The ridiculous talent level of Ring of Fire has meant that Turbine gets to add some really talented cuts, including Jakeem Polk, this season. Stephen Poulos is also joining the team, which will add some throwing depth. Turbine is flush with athletes, and it doesn’t seem like a huge stretch to see the team being closer to even with Chain Lightning this season in the Southeast after losing to them twice at Regionals last season. With Florida United out of the picture, could we see two North Carolina teams at Nationals? Garden State has managed to establish an identity despite top local players often getting pulled to play on New York or Philadelphia teams. Marques Brownlee, Conor Kline, and Jibran Mieser bring some athleticism to a team that looks to continue its growth as other Mid-Atlantic teams like Medicine Men and Patrol take a step back. Is a Nationals run in the cards? It still seems like a stretch, but the team is definitely good enough to score an upset or two at Regionals. While never flush with the amount of ultimate talent that rolls into Toronto and Vancouver, Winnipeg has developed a strong scene and General Strike looks like a team that could be ready for an upswing year. They’re gearing up for a run at WUCC (with the nice Mark Lloyd pickup for the weekend) and they won Spirit of the Plains over Mad Men, another competitive team in the North Central. Is Strike talented enough to get past Sub, Madison Club, and Prairie Fire? Probably not, unless the region piles up some bids. Another year, another ‘almost’ for Inception. They came up just short in 2017, falling to Doublewide 15-13 in South Central semis before losing to them again in the game-to-go. It’s clear that Inception will need to earn a bid if they want to do any real damage in the SC. They’ll look to some talented young players like Auburn alum Evan Boecking, D-III Breakout POTY Kainua Chun-Moy, and FSU alum Andrew LaRocque to help lead the way. To start their season, they lost to Prairie Fire 15-10 in the Fort Collins Summer Solstice final. Charlie discovered ultimate his freshman year of high school after he was cut from all the other sports. He lives in St Paul, MN, and you can follow his bad tweets @Endersisgame. Chris has been playing ultimate for close to a decade starting in Westfield, NJ. He played throughout college with Syracuse Scooby Doom before graduating in 2018. In his free time, Chris runs The Ultimate Podcast, interviewing athletes about their experiences with ultimate. You can reach him by email (cmcglynn84@gmail.com) or on Twitter (@theultimatecast). Comments on "Club Season Mega-Preview 2018: Men’s Division"